The story of how President Harry Truman and General Douglas MacArthur squared off to decide America's future in the aftermath of World War II. In his early chapters, where Brands fills in the back story of his dual protagonists, he can feel sketchy almost to the point of seeming disengaged, and this section of the book is somewhat disappointing. But when Brands gets to the Korean War, his narrative comes into its own ... Brands deftly utilizes a wide array of sources, from the Pulitzer Prize-winning reporting of foreign correspondent Marguerite Higgins, who landed with the troops at Inchon, to the papers of both Truman and MacArthur, as well as material that was unavailable to previous scholars. He tells his story with admirable objectivity and fairness, letting the facts speak for themselves. For anyone looking to understand the Korean War, this book is an admirable place to start. Though his account is thin on context, it is fast-paced, dramatic, and amply illustrates why Truman’s stock has been on the rise in recent decades ... Brands steps backs, briskly tracing the lives of Truman, the World War I artillery captain, plain-spoken Missourian, and FDR vice president who became an unlikely commander in chief, and MacArthur, youngest ever major general and a hero of World War II who presided over the occupation of Japan with an eye to being president one day. ...[a] highly readable take on the clash of two titanic figures in a period of hair-trigger nuclear tensions ... Brands is a skilled historian and he mines letters, memoirs and transcripts to give gripping blow-by-blow accounts of internal debates. But it’s difficult to discern much new here ... 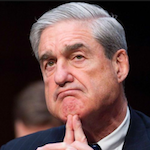 Still, history offers few antagonists with such dramatic contrasts, and Brands brings these two to life ... Brands surprisingly ignores scholarship that shows he and his aides discounted or dismissed multiple reports of a Chinese military buildup in the area. 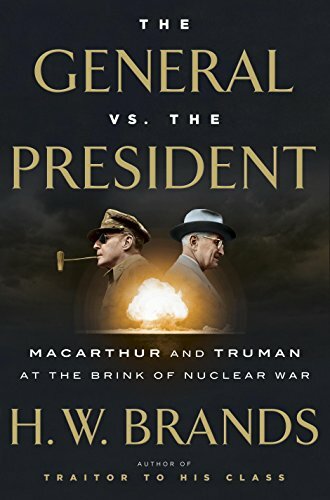 What did you think of The General vs. the President: MacArthur and Truman at the Brink of Nuclear War?